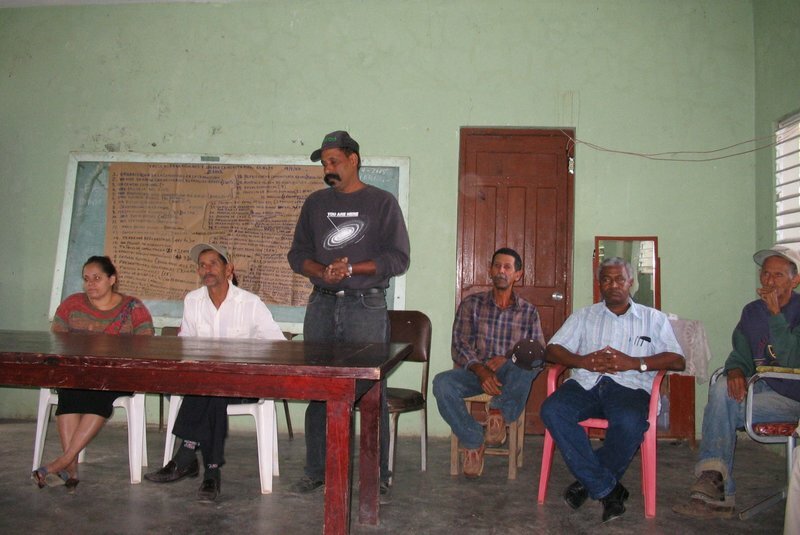 Figure 1: Community development worker meeting with a group of community members (Source: Brian Flanagan). A participatory learning approach, applied at each stage of a community development project, is crucial to reaching the level of stakeholder involvement needed for lasting, positive change. The use of participatory survey and planning methods in the development process encourages community ownership of projects, allows for information to flow between both the community (Fig. 1) and the development organization, and enhances accountability between the organization and the community. The following participatory methods and tools, which can be used to encourage community member participation in program activities, are drawn from MEAS Participatory Methods and Tools for Extension documents. Rapid Rural Appraisal (RRA) is not one tool but a range of evaluation approaches. RRA is a hybrid of formal surveys and unstructured research methods such as in depth interview, focus groups and observation methods. RRA procedures take little time to implement, yielding valuable insights into a community over a short period of time and at a relatively low cost. Secondary data is reviewed before doing in-field research. Secondary data sources include relevant research papers, journals, books, project documents, previous survey results, maps, and even newspapers. Government agencies, universities, research centers, NGOs, and other institutions are also good sources for information. Field-based data is gathered through observation (e.g., of land use, cropping patterns, and farming practices) and semi-structured interviewing of farmers, local leaders, and officials. The keys to the RRA method in the field are threefold; observe all agricultural behaviors and practices, converse with local farmers to hear their concerns and views, and record everything observed and heard for latter review. RRA research teams are best composed of males and females from diverse disciplines. It is also best for the team to be composed of both people that are familiar with the community and those that are not. The ‘insiders’ will provide inside knowledge of the local situation and ‘outsiders’ will provide perspective and possible options---based on experience gained from other project areas---that might otherwise be overlooked. To learn more about conducting a RRA, refer to the MEAS Participatory Methods and Tools for Extension: Rapid Rural Appraisal document. This is a method for gaining an understanding of movement patterns for an individual, a group, or a community. A mobility map provides insights into where people go, for what reason, how frequent, how far the travel is. When developing such a map, gender awareness and sensitivity can be improved by identifying the differences in mobility patterns between the sexes. A good grasp of mobility patterns enhances project planning efforts, as the impact of interventions are more easily anticipated and evaluated. For information on how to conduct a mobility map refer to the MEAS Participatory Methods and Tools for Extension: Mobility Map document. A social map is constructed by local people. It is not drawn to scale, as the primary focus is to identify what the local people believe to be relevant and important for them. Social mapping is a participatory method that has proven successful even with people who are illiterate or marginalized in a community. Using information from social maps, development workers can design and plan interventions in communities to improve extension and advisory services. For more information on how to conduct social maps refer to the MEAS Participatory Methods and Tools for Extension: Social Mapping document. Figure 2:Local orchard owner showing map of his on-farm resources (Source: Brian Flanagan). A resource map is constructed by locals, showing the natural resources in a community. Local people draw on their knowledge of the area to identify resources such as land, rivers, hills, fields, vegetation, and possibly habitation (Fig. 2). In doing so, self-confidence among the participants is built up. These maps are meant to indicate a community’s view of their natural resources rather than show precise measurements. They help create a common understanding of what local resources are available, and also provide a baseline for monitoring and evaluation. For more information on how to conduct a resource map refer to the MEAS Participatory Methods and Tools for Extension: Resource Map document. Transects are used to discover the spatial dimension of community member’s realities. The tool emphasizes a community’s natural resources while factoring in its social aspects. A transect is a cross-section of the various agroecological zones and offers a comparative assessment of the zones based on different parameters (e.g., topography, land usage, land type, soil type, soil fertility, ownership access, vegetation, crops, solutions, opportunities, problems). Social aspects such as gender-related dimensions can be integrated into the analysis depending on the overall goal of the exercise. Transects are often conducted after a resource or social mapping exercise as a way to triangulate information. A systematic walk with facilitators and local community members to observe the surrounding area, gathering details such as topography, natural resources, opportunities, and problems. Creation of a transect diagram of the walk route, dividing the area into agroecological zones and listing parameters, problems and potential solutions relevant to each zone. For more information on how to conduct a transect map, refer to the MEAS Participatory Methods and Tools for Extension: Transect document. In response to challenges, communities can either focus on their needs, deficiencies or problems, or they can address discovering their own capacities and assets. 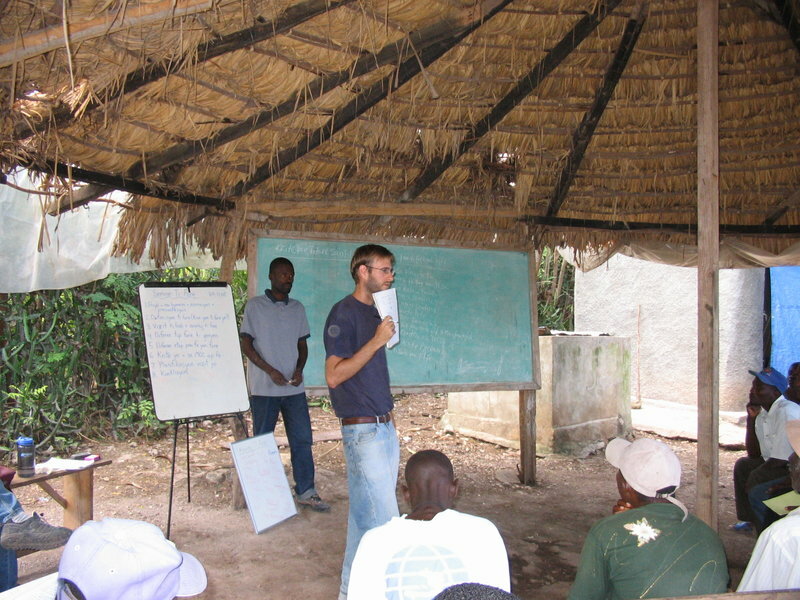 Whereas focusing mainly on problems or needs can distract the community from identifying available local resources, the asset-based method of responding to problems is a way to involve a diverse group of community members in the development process and identify the local resources which can be built upon for renewal. Community assets can include the following: capacities and skills of community members, local public and private NGOs and institutions, physical resources, personal networks, and funding from outside donors. More details on mobilizing community assets and how to conduct the process can be found on the MEAS Participatory Methods and Tools for Extension: Mobilizing Community Assets document. Steps on how to conduct a time line can be found on the MEAS Participatory Methods and Tools for Extension: Time Line document. Wellbeing ranking is centered on local community members’ view of wealth, ranking and wellbeing with regard to income, assets, and their perception of socioeconomic difference between households. Evaluating programs by identifying whether the activities are benefitting the target group. Locate and classify households and/or groups based on relative wellbeing in the areas of earnings, wealth, resources, and status within the community. Develop programs in line with people’s goals as they relate to livelihoods, vulnerability, and constraints. Wellbeing rankings can be conducted in various ways such as using a combination of the card sorting method and the social map method. For more details on the uses of wellbeing rankings and how to conduct the process refer to the MEAS Participatory Methods and Tools for Extension: Wellbeing Ranking Analysis document. Trend analysis is people’s account of the past in a community. This method can provide an idea of quantitative changes over time in various facets of a community. Trends that can be measured in a community include crop yields, number of trees, livestock and human populations, rainfall, area under cultivation, etc. By charting broad movements or capturing trends, one can better understand the impact that trends have on the local community. Important lessons can be learned from discussing reasons for the success or failure of past interventions. To learn more about trend analysis and how to conduct the method with members of a community, refer to the MEAS Participatory Methods and Tools for Extension: Trend Analysis document. 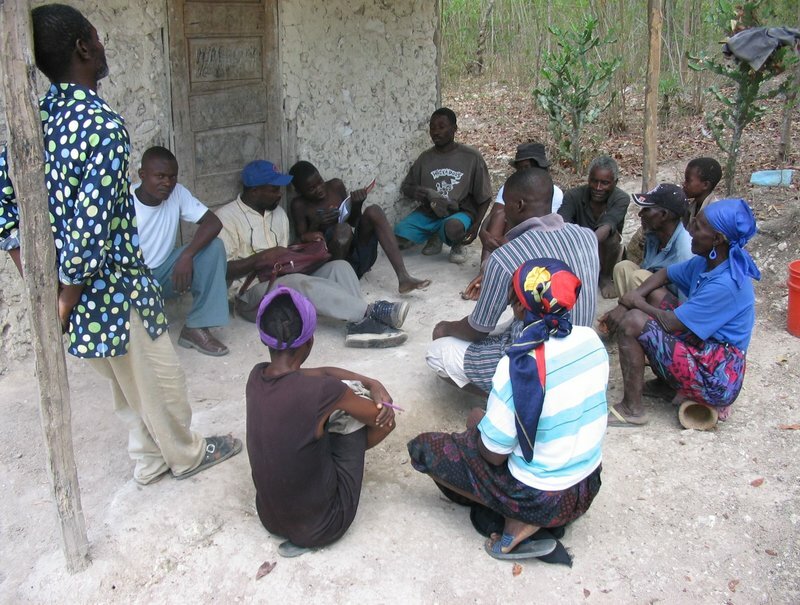 Figure 3: Community Development workers conducting a brainstorming session (Source: Brian Flanagan). Brainstorming is a method for people to share a wide range of ideas before a decision is made. Participants are encouraged to share ideas without fear of being corrected or challenged, even though the ideas may not follow traditional thinking (Fig. 3). An end-result of the process is an extensive list of creative ideas from which to draw upon in developing a solution. Brainstorming frees people to think creatively and energizes them to take action. Because the process is participatory, everyone feels part of the decision-making process. To learn about the steps involved in brainstorming refer to MEAS Participatory Methods and Tools for Extension: Brainstorming. This is a participatory visual method of understanding how the community views a number of items (social groups, individuals, institution, diseases, natural resources, etc. and any other combinations) in relation to a few (preferably two) variables such as: importance, prevalence, and perceived proximity. The objective of the method is to better understand the community’s perception of institutions, individuals, and programs as well as the decision-making processes of a community. This helps identify factors such as the weakness and strengths of relationships between villages and institutions, duplication or gaps of services between institutions, and the power structure within villages. Steps to conducting a Venn diagram can be found at the MEAS Participatory Methods and Tools for Extension: Venn Diagram document. This is a method that studies two conflicting forces acting on a situation. It can be used to examine all of the factors at play in a situation; for example to identify the negative forces (barriers, deficiencies, problems) as well as the positive (resources, skills, attitudes). Force field analysis is a valuable tool in helping groups to better understand problems that must be solved and identifying what is needed to succeed in specific situations. For more information on conducting a force field analysis refer to the MEAS Participatory Methods and Tools for Extension: Force Field Analysis document. Gap analysis pinpoints road blocks that get in the way of a desired goal. It helps groups to better understand the gap between their current state and where they want to end up. Groups are able to recognize their present state, agree on a desired future, and identify the steps they need to take to get there. The process is highly participatory, aligns groups, and creates energy. For information on how to conduct a gap analysis refer to the MEAS Participatory Methods and Tools for Extension: Gap Analysis document. This method is used to collect information from a specific group of people about their experiences and opinions on a particular subject. When planning a focus group interview, the following should be decided: the purpose of the group, information needed from the group, and how the information is to be used. As the moderator often determines the success of the focus group discussion, the individual should be approachable, engaging and able to gain the group’s trust. For more about conducting and analyzing data from focus group interviews refer to MEAS Participatory Methods and Tools for Extension: Conducting Focus Group Interviews. Figure 4: Local advisory committee discussing a local development project (Source: Brian Flanagan). Advisory groups (Fig 4) are formed to represent the ideas and attitudes of a community. Ideally, such groups are diverse, ensuring that the community is well represented in a program’s process of assessing and addressing local needs. The advisory group can provide community awareness, identify appropriate stakeholders, and offer technical advice. Care should be taken to maximize the skills of the group, make sure the community is adequately represented, and resolve potential conflicts between the advisory group and other decision-making bodies. To learn more about the advantages and disadvantages of advisory groups refer to MEAS Participatory Methods and Tools for Extension: How Can an Advisory Group Serve a Community. Concept Mapping is a methodology that allows for collecting a broad range of ideas from a population, then organizing and assigning values to the idea. It creates a picture of how different ideas are related to each other. Concept maps start with a prompt or focus question presented to participants who brainstorm ideas. This creates the information that will be mapped. An example of a prompt would something like this: “I would be much better able to market and distribute my products if…..” Concept mapping uses accepted statistical methods and can produce a final product in a matter of hours. The method also allows for examining the total populations response or comparing and contrasting subgroups within the population. The created maps are shared with the group and can be used to create more in depth discussion on the topic. Concept Mapping is a process which keeps a group on task, aware of where they are in the process, and allows individual participants to see how their ideas are used. For more information refer to the MEAS technical note on Applying the Concept Mapping Methodology. Cho, Khin Mar, and Donald Tobias. 2012. Technical Note on Applying the Concept Mapping Methodology. Modernizing Extension and Advisory Services. Ferguson, Oliver, and Kathryn Heinz. 2014a. Participatory Methods and Tools for Extension: Brainstorming. Modernizing Extension and Advisory Services. ———. 2014b. Participatory Methods and Tools for Extension: Conducting Focus Group Interviews. Modernizing Extension and Advisory Services. ———. 2014c. Participatory Methods and Tools for Extension: Force Field Analysis. Modernizing Extension and Advisory Services. ———. 2014d. Participatory Methods and Tools for Extension: Gap Analysis. Modernizing Extension and Advisory Services. ———. 2014e. Participatory Methods and Tools for Extension: How Can an Advisory Group Serve a Community? Modernizing Extension and Advisory Services. ———. 2014f. Participatory Methods and Tools for Extension: Mobility Map. Modernizing Extension and Advisory Services. ———. 2014g. Participatory Methods and Tools for Extension: Mobilizing Community Assets. Modernizing Extension and Advisory Services. ———. 2014i. Participatory Methods and Tools for Extension: Rapid Rural Assessment. Modernizing Extension and Advisory Services. ———. 2014j. Participatory Methods and Tools for Extension: Resource Map. Modernizing Extension and Advisory Services. ———. 2014k. Participatory Methods and Tools for Extension: Social Map. Modernizing Extension and Advisory Services. ———. 2014l. Participatory Methods and Tools for Extension: Time Line. Modernizing Extension and Advisory Services. ———. 2014m. Participatory Methods and Tools for Extension: Transect. Modernizing Extension and Advisory Services. ———. 2014n. Participatory Methods and Tools for Extension: Trend Analysis. Modernizing Extension and Advisory Services. ———. 2014o. Participatory Methods and Tools for Extension: Venn Diagram. Modernizing Extension and Advisory Services. ———. 2014p. Participatory Methods and Tools for Extension: Wellbeing Ranking Analysis. Modernizing Extension and Advisory Services. Myers, Brian E. 2012. Technical Note on Creating Concept Maps. Modernizing Extension and Advisory Services. Meitzner, Laura. 2000. Now That I’m Here, How Do I Begin? ECHO Development Notes, no. 69 (September). Meitzner, Laura. 2001. Designing a Participatory Mapping Program: Lessons Learned from Papua (Irian Jaya), Indonesia. ECHO, inc.